Enable videosync to search YouTube from within VR. This is a request to see if there is interest in bringing back the searchable YouTube walls. We would possibly also add voting on videos similar to what AltSpace had on theirs. If you have a desire for Twitch and Periscope compatibility in VRChat please comment as well on that. With the removal of web panels, this suggestion is no longer applicable. Searching YouTube would still be really cool, but it'll need a different implementation. @Hagbard_Celine: what about the beta? @Brooke : no clue. didnt test the latest beta yet. Why would you even remove it in the first place? @anidiotrobot-thatdoomedtheearth: Deprecated components out of our control made it impossible to use the previous implementation of the YouTube search. We're planning on re-implementing YouTube search in the near future. @Tupper - Community Manager: From the time when it broke till now ... wait that is the far future already. Must have been at least a year by now. Twitch support would be great.. Maybe in time for E3? That's really soon, but a man can dream. Twitch would be amazing. My shows would be a lot more immersive again. Though Youtube is fine too. Of course! It would allow for us to actually hang out and interact. This is a 100% must, we can finally watch videos, movies, and whatever together! any update to when this is happening??? @Kuro: You should read the other posts. They'd have to transcode twitch and thats unlikely. @Hagbard_Celine: Would YouTube streams work or would you need to transcode for that too? @Féz: YT works, this is only about the search feature. i wanted this when i saw the video wall in japantown and said "this would be cool if it had youtube"
i'm kind of a newblood so this sounds awesome. @l4w1n: Can you give us an example of the "unwanted data" please? Just block google and yt in the routers firewall if you dont like it. @danly: Are there other streaming services out there that we could work with? @danly: is it possible to watch live youtube videos though? We're all aware how much the youtube video search was popular and useful. This is why we added at launch. The problem recently was the Unity 5.6 update outdated the coherent code and it's not an easy thing to rewrite but we've got people on it as a priority. @Ron Millar (CCO and Design) : 5 months later any updates? The requirements for Coherent seem prehistoric, though. Win 8.1 and VS2013??? So I guess it was only a matter of time anyway. And the fact that the old one was rather limited, compared to the YT panel that for example AltSpaceVR offers, makes it a bit easier to swallow that bitter pill. I think that this issue should be prioritized right after security,stability and performance stuff. @Hagbard_Celine: Coherent also suffers from severe code rot; the layer that handles the magic of transforming the output of the Chrome renderer into something that's consumable by the Unity renderer was hideously busted by the 5.6 upgrade, and the situation will only become worse. Web Panels have always been something of a pain point for performance and sync, as well; syncing the browser state is a difficult problem, and so we were finding specialized solutions for specific uses, and then hosting those was proving costly. We're still looking at ways to share YouTube videos in VR Chat, and Web Panels are still a possibility. I'm the hapless VRChat developer who built Original Recipe YouTube Panels, and then quietly stopped supporting them when it became obvious that the tech that we used to provide them was becoming obsolete and any further effort on YouTube sync would be wasted effort. This is still a priority for us, but the night is dark and full of terriers. 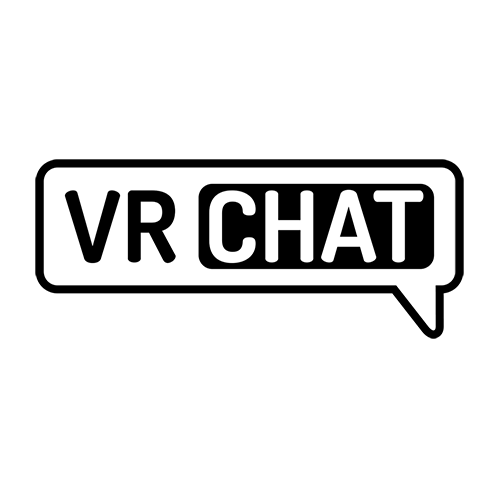 Twitch & periscope would be great for streaming… well anything into vrchat. So yes, there is desire for that. Twitch compatibility would be awesome. Periscope would be nice, but twitch is a must in my opinion. Streaming is pretty huge these days and I would love to see my favourite streamers with my friends in VR. This would make the game even better for me and my friends! DO IT!!! Of course it needed! People spent a lot of time searching and watching favourite videos together in VRChat. Yes, please please! I would love to bring friends in, even if they didn't have VR to watch a video with them. Twitch compatibility would be great too, since I spend a lot of my time watching Twitch as well. Yes. Nice to play your own music and videos. YES PLEASE BRING BACK YOUTUBE PANNELS! It was literally my favorite part of vrc when I started. Being able to sharing music and dance together was so much fun. Vrc is not the same without video/music sharing through youtube.